Thank you to our City colleagues in our Facilities and Parks and Recreation Departments. 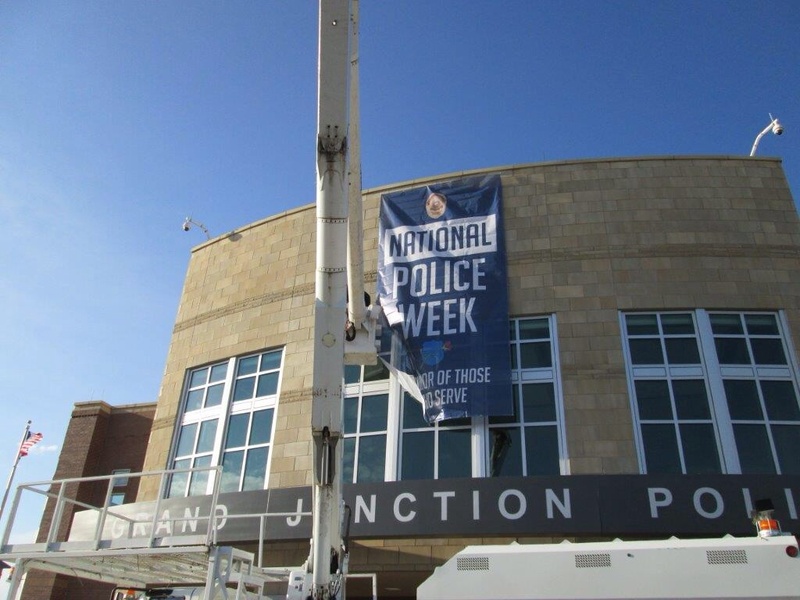 They were up early this morning hanging a 20 foot banner on the front of our building in honor of National Police Week. Tuesday, May 13 at 6:30pm- Touch a truck (tour our specialized vehicles), immediately followed by the annual Memorial Vigil. We have more details on these events in a previous post. This entry was posted in GJPD News and tagged Grand Junction Colorado, grand junction police department, Law Enforcement, Mesa County, police week.